Looking back since the time you made aliya, do you think that your emuna while living in the United States was lacking? 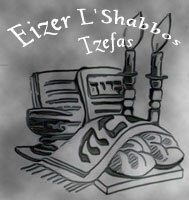 How is your emuna living in Eretz Yisroel stronger today? When I was a child, my grandparents used to take me on outings to the Franklin Institute - possibly _the_ original children's science museum (located in Philadelphia). At the time, the museum was the ultimate hands on science museum. They actually had full size steam locomotives in the building that you could climb on and partially operate. They had a full size commercial jet you could climb through, and in the cockpit things were wired to light up. Small hands on experiments abounded - pull and lift tons of material with ropes and pulleys, experiment with wing lift in miniature wind tunnels, make huge sparks and pull and push with electromagnets. And when they did demonstration experiments, they were exciting, noisy, messy, and flashy. The wonders of science were literally in your hand, and that sparked my interest and imagination for a lifetime. Turning on a light is not abstract when you've had a chance to experiment with it. Judaism is a religion, a way of life, a people, a nation, and a land. These things aren't separate, together they make up a complete package. Outside of Israel, much of Judaism is theoretical. Parts don't apply and are only studied in abstract (shmittah, trumah). Parts are performed but don't align (prayers for rain are seasonal by schedule in Israel). And parts are hard to understand or relate to (aliyat haregel). Judaism in the Land of Israel is a hands on experience like the science museum memories of my childhood. While we went down the road to Bet Lechem to Kever Rochel, my 8 year old daughter looked up at me and quoted from the Torah, asking "is this the road she was buried on", yes it was, the words of the Torah where we stood. When we went to Ir Dovid (excavations of the ancient city of King David on the far side of the Old City, next hill over), we went down through the water tunnel (30 minutes in the dark with water up to your ankles) that ends with a plaque saying "we are the workers of King Chizkiyahu, we dug from both sides to prepare for a siege by the Assyrians" (they really found the plaque there, though it's a reproduction there now with the original in a museum) - the words of Melachim in front of our faces. 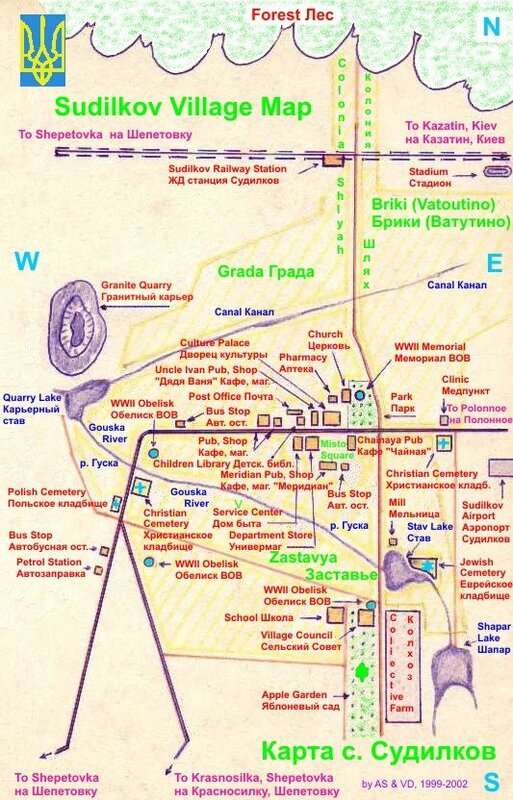 We discussed shemittah in the market on which vegetables we could buy (or not) and the empty fields we passed. Trumah and maaseros will be taught in the kitchen as we take them. Myriad generations of our patriarchs and matriarchs, tzaddikim and gedolim can be visited at their kevorim. Learning mishnah, Rabbi Akiva says - been there. Zohar, Rabbi Shimon bar Yochai says - been there. Mishneh Torah, the Rambam says - been there. Shulchar Aruch or Kabbalah, Rabbi Yosef Karo and the Ari, yep. Shimon HaTzadik, Shmuel HaNavi, Binyomin, Dan, Shimon, so many more. Jump in the Ari's mikvah, climb down to the cave of Eliyahu HaNavi. 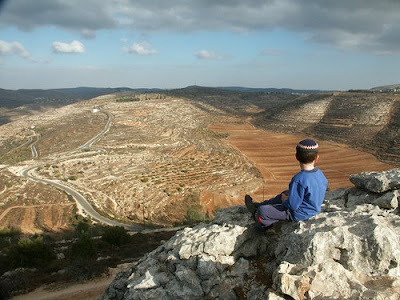 Stand in Elon Moreh when the parshat hashavuah says Avraham Avinu came there, look over to Har Bracha and Har Gerazim where Am Yisroel stood upon entering the Land. There's a story from the Kedushas Levi, Rebbe Levi Yitzchok of Berdichev. When he was newly married, he heard of the Maggid of Mezerich and insisted on traveling to learn by him. Upon returning, his father-in-law challenged whether he was wasting his time or not..."What did you learn by the Maggid?" asked his father-in-law. "That there is a G-d." replied the Kedushas Levi. His father-in-law called over the maid and asked her "do you know that there is a G-d?" "Yes" she replied. Said the Kedushas Levi, "she says there is a G-d, now I _know_ there is a G-d."
In America, I read and learned and prayed, and went to work. 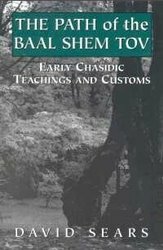 While I spent time learning chassidus, I didn't spend all that much time contemplating G-d, thinking about the avos and imahos, navi'im and kesuvim. Intellectually I strove to become closer to Hashem, but "sheviti Hashem l'negdi tamid" - keeping Hashem constantly before me or in my thoughts wasn't part of the program. My home felt basically secure, my parnossa basically secure (though that's changed in the US recently, and many of my former colleagues have lost their jobs within the last month), and one could contemplate which tzedakah is more worthy for my giving. In Israel, much of Judaism is literally within reach or within sight. Parnossa is challenging, I thank Hashem every day for just getting by. Holy sites from generations are nearby, to light up a moment. Life and death threats are more palpable, both from brutal enemies and even from normal traffic. And I encounter our neighborhood poor who literally survive by communal chesed or (G-d forbid) go hungry when it's lacking. In other words, emunah is more hands on, more literal and in your face. In the US, the gedolim and tzaddikim certainly know that every moment we depend on Hashem. In Israel, not only does every religious Jew know that but even many of the non-religious admit it as well. In Israel, we live by the hand of Hashem every day. Beautiful photo. I love the little boy looking on. And what Akiva says makes a lot of sense...Judaism feels very different in Israel than here in America. i just find it easier to have and enjoy my faith in israel than elsewhere!